An Odd Friendship Between A Tiny Squirrel Named Quasi And His Savior, Pongo The Dog. Almost every dog I’ve ever owned, ever meet or ever seen in real life or in cartoons, tv shows and movies all hate squirrels. I’m not even sure if they hate these rodents living in trees more than cats or not, but their relationship has never been good. I never seen a dog or squirrel play and have some fun, or even stay in a room without the dog chasing the rodent. 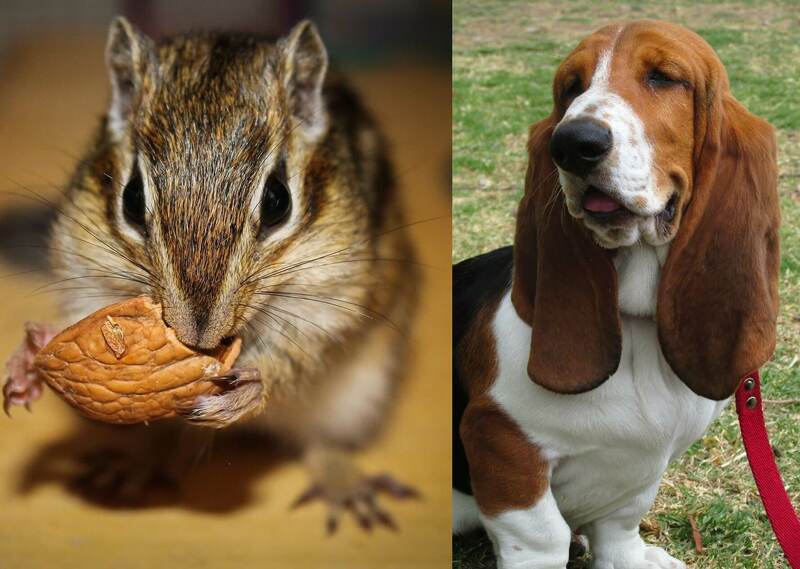 Some say dogs have this love-hate relationship with squirrels much like their attitude towards cats. It is a drive, an instinct to chase something that’s fast and sneaky like cats and squirrels. Is it because they are very fast and can climb up high trees? Is it because of the way they look at the dogs, or how they chew on their nuts? No one knows for sure, which is why I am so surprised when I came across a video that The Dodo. The video shows a dog just chilling, playing and even living in harmony with a baby squirrel. Can you believe that? Apparently, the dog named Pongo found the baby squirrel in the dirt in their own backyard one day. Pongo started barking frantically which caught the attention of his owner. 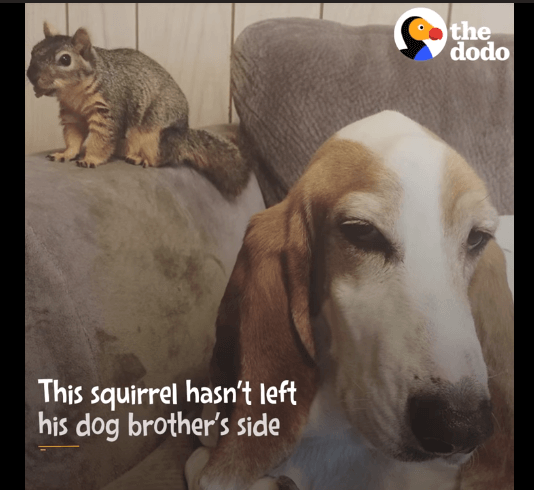 When Pongo’s owner came to check what’s up with Pongo’s insistent barking, she found him sniffing and running in circles around the poor baby squirrel. It seems that Quasi, the name given to the poor baby squirrel, has fallen from some tree. Pongo never stopped barking until his owner found baby Quasi laying on the floor. Pongo’s owner then realized that Pongo called her attention because he knows she can help baby Quasi. It was evident that the heroic dog was very worried about the squirrel, and his owner felt it too. According to Pongo’s mom, Quasi was only around five weeks they found him in their backyard. His eye has barely opened up and it looks like his mom have already abandoned him. This Animal Hero Rescues Poor Hungry Dog Left To Die In An Abandoned House!